Have you ever been to County Mayo, Ireland? Let me start by asking you to do something. Close your eyes and think of Ireland. Let the images and sounds come wafting into your consciousness. 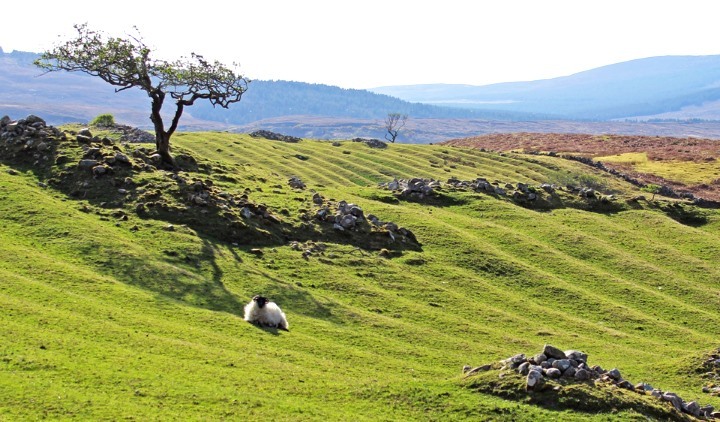 Perhaps you are seeing green fields with stone walls? Or a wild blue sea beating off high cliffs and flowing onto white sands? How about empty bog land stretching to the mountains across lonely small roads? Or maybe colourful villages containing lively pubs with the best musicians around? I’m sure you have many more sights and sounds to add to these few! 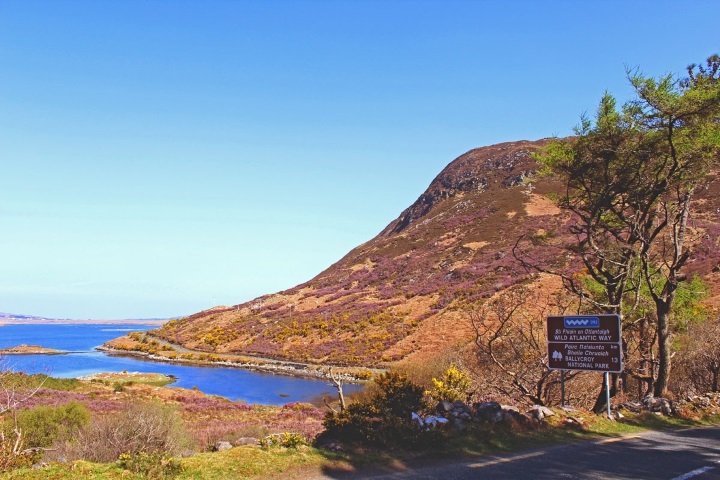 I bring this up as we recently travelled to a county where you will find all of the stories, pictures, history and scenery of Ireland within its border. That is County Mayo. Do your ancestors come from the county? In the USA, approximately 37 Million people identify themselves as being of Irish descent. In our Your Irish Heritage list (now over 6,000 names) approximately 10% have names that came from County Mayo originally. This suggests, by extension, that around 3.7 million of people of Irish descent in the USA alone would report County Mayo surnames in their family tree. which were the top surnames in Mayo in 1890. But, this morning we are going to focus on the holders of two of these names: Kelly and O’Malley. Two of County Mayo’s finest ladies—one became a Queen, and the other a Princess. The Two Graces Of County Mayo. In the year 1530 AD, Grace O’Malley was born on the shores of Clew Bay in County Mayo. Her family took their name from the country and tribe of Uí Maille, Grace was to become known as both the Queen of Uí Maille and the Queen of Connaught during her lifetime. She was also later popularised as the “Pirate Queen”. There is so much that I could write about this lady, her exploits and legends, but not in this short letter. In 1566 AD, Grace O’Malley was married to Richard Bourke. The Bourke family were overlords of the O’Malleys and this marriage, a second for Grace, was probably motivated by an ambition to grow her wealth and standing. Bourke was owner of Carraigahowley Castle which was located in a sheltered harbour and very suitable for the hiding of pirate ships. After only one year of marriage, O’Malley and her followers locked themselves in Carraigahowley Castle and Grace called down to Burke, “Richard Burke, I dismiss you.” Those words had the effect of ending their marriage under Brehon Law. But by that law she also got to keep what was already in her possession—and that included the castle and lands around it. Grace went on to live for many more decades and based herself in her new stronghold. She most likely died at Carraigahowley Castle around the year 1603 AD. Five Miles Up The Road. Just five short miles up the road from Carraigahowley Castle—near to the town of Newport, you will find the townland of Drimurla. This was the birthplace of one John Peter Kelly. John was an unskilled labourer who left his birthplace and home in 1887 and emigrated to Philadelphia in the USA. In November 12, 1929, his granddaughter, Grace Patricia Kelly was born. This is, of course, the beautiful movie star Grace Kelly who between 1951 and 1956 went on to star in eleven Hollywood movies. Grace is equally famous for her marriage to Prince Rainier of Monaco. They were married on April 19, 1956 when she also assumed the title of Princess Grace of Monaco. She visited Ireland, including her home place in Drimurla, County Mayo, a number of times before her premature death in 1982. Can you imagine these two Graces, who were near neighbours, but across the centuries, sitting down in front of the fire in Carraigahowley Castle? The Queen and the Princess talking about their hopes, dreams, loves and families. Each noticing the strong determination, iron will and ambition in the other. Now that would make a good movie: “The Two Graces of County Mayo”. What do you think? I can totally envision a movie paralleling the lives of these two Graces! 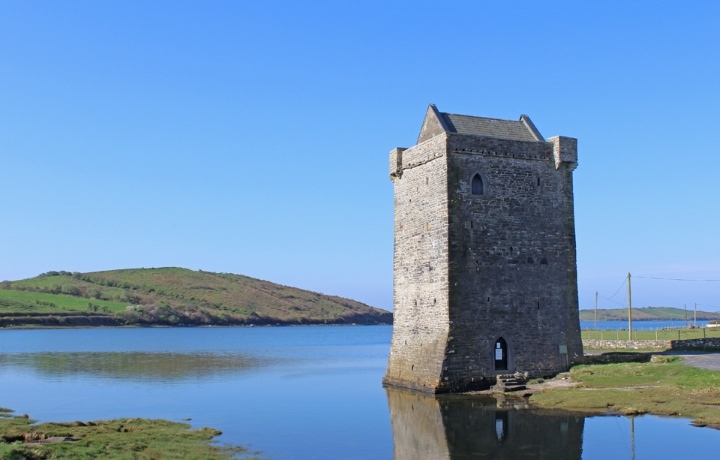 Grace O’Malley would materialize to act out her life and history to Grace Kelly as she visits Carraigahowley Castle on her tour of her homeland. From your depiction of Grace O’Malley, I can see a Keira Knightly, swashbuckling sort of character – smart, full of fire, ambition and passion. Her guest by contrast is refined and beautiful but also smart, ambitious, and passionate. It’s a perfect movie script, Mike, full of history, rich characters, spectacular scenery and compelling storylines. Now I suggest that you write the screenplay and get it to Hollywood! Nice idea Julie – but I will definitely need an agent – and it sounds like you are up for the job! 😉 Mike. Now that I know, for sure, when I will actually be in Mayo my mind has 100 of questions about the area. I wonder how the County and Ballina has progressed in the time since I had family living there and now. Especially in the time since the Celtic Tiger? I’ve heard the City is now a major tech center, but would like to learn more. Course the history of the place is important to me but so is progress. My mother was 100% Irish,and my dad is 1\2 Irish 1\2 German. My mom’s maiden name was Jordan,my Nana’s was Doyle. My dad’s mom’s maiden name was Keeley or Kealey. 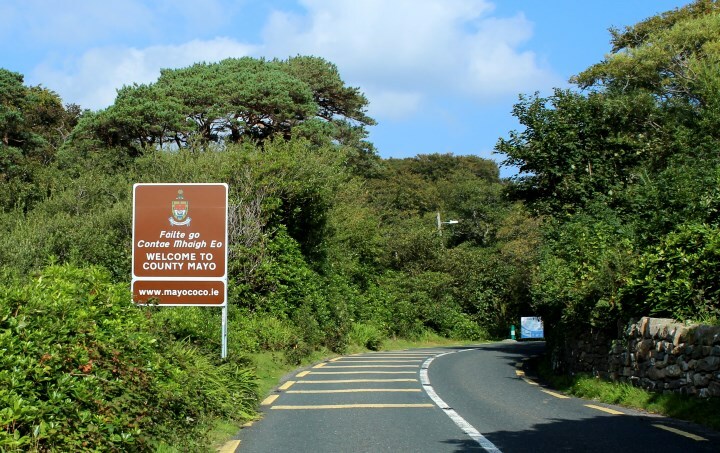 My Nana always talked about Co.Mayo and Co.Cork. Catherine Elizabeth Doyle Jordan,but went by Kathleen. My great grands are from Tourmekady. G-Grandfather Michael Lyden came to the U.S. In 1923,g- grandmother Mary Coyne Lyden came in 1925 with my grandfather, John Lyden, who was 5 at the time . They settled in Youngstown, Ohio USA . My grandfather John, just passed away, October 24, 2014 at the age of 95. Thanks Mike & Carina for the great Mayo and Clew Bay story. My family cousin Darren Madden with his wife run the Clew Bay Hotel & Madden Bistro Pub. Absolutely would make a great movie. I recommend making it a time travel movie. They are extremely popular in movies and novels. Anyone out there know someone who is a screenwriter ?! I lived in Philadelphia until I was 12 yrs old and we then moved to the suburbs about 30 miles away. I worked in “Philly” for many years. I totally know who Princess Grace was my parents always mentioned her. After her death there was a road name for her in Philadelphia and it is The Kelly Drive. It was exciting to have a Princess and Movie star in the area. I live in Philadelphia and grew up just down the road from the Kelly home on Henry Avenue. I well remember Princess Grace as she visited Philadelphia quite often. As to the Kelly Drive, actually it was renamed Kelly Drive, having previously been the East River Drive, for Princess Grace’s brother, John B. Kelly, Jr. Kelly, Jr. was quite a figure in late 20th century Philadelphia history. He, like his father, was an Olympic gold medalist rower. In fact, there is a statue of John B. Kelly (the father) rowing in his scull along the banks of the Schuylkill River on Kelly Drive. Sounds like a good movie I was amazed at the Grace Kelly connection. You asked about strong women and I would propose my mum Catherine Hanlon known also as Kathleen alias the boss! Sounds like everyone knew she was the Boss, Ken! Mike. Thumbs up. Two great letters. Delighted you enjoyed them Carolyn – thanks for letting us know. Mike.